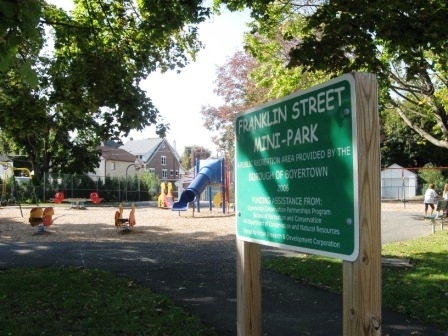 While Boyertown Community Park may get most of the attention in town, and deservedly so, there are two small parks in the borough that residents and visitors alike should know about and take some time to visit: Municipal Park and Franklin Street Mini-park. I actually started my family tour of Boyertown parks with Municipal Park. To be honest, it was a little challenging to find, because there are no markings or signage for the park. We thought a good place to look for Municipal Park would be near the municipal building, and we were right. 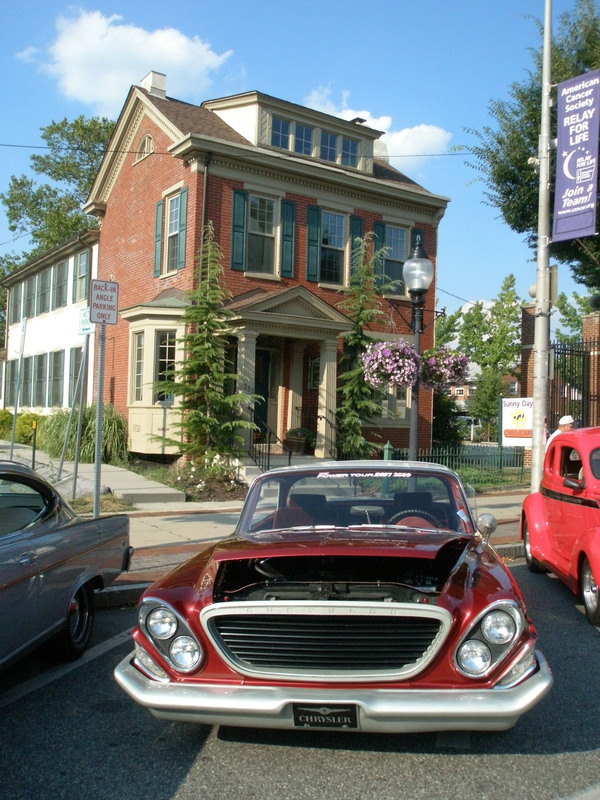 This unassuming neighborhood spot sits directly behind the Boyertown Borough Police Department at the intersection of 3rd and Franklin Streets. Municipal Park is home to a nice playground, a basketball court and enough open space to throw a baseball or kick around a soccer ball. The play equipment was just interesting enough to hold the attention of two 6-year-old boys while my husband and I walked around to check out the rest of the property. It’s not a destination park, but it offers some open space and room to play for neighborhood kids. At the northern end of Franklin Street, we discovered the aptly named Franklin Street Mini-park. This park has been the subject of some recent commentary about teenagers hanging about and making it less than enjoyable for kids and their parents, but the afternoon we visited the park was nearly empty. In the Penn State study that inspired this review of area parks, Franklin Street Mini-park is listed as having “internal trails.” In this case, that phrasing may be an overstatement since the trail is the circular paved route around the play equipment. But, if your child is learning to ride a bike, or likes riding a scooter, this round track would be endless amounts of fun. 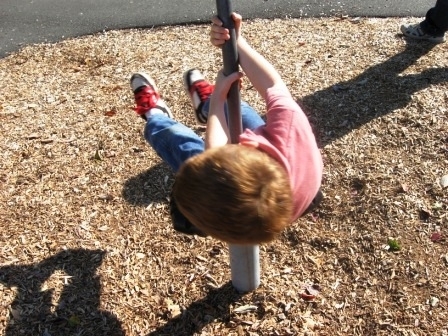 The playground offered plenty of spinning equipment, a new-fashioned teeter-totter, swings and plenty of places to run and explore. There is also a basketball court set back toward the rear of the park. It is close to the State Theatre of Boyertown (home of the cheap movie tickets!) and would be a great way to kill some time before a movie or to run off some steam after one. 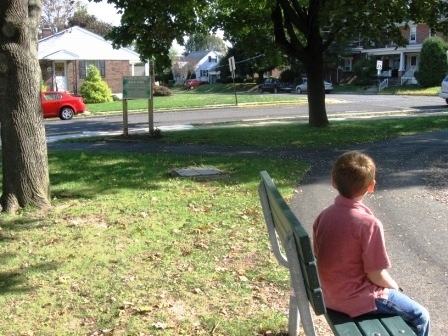 Size: This small park sits just behind the municipal building in Boyertown. 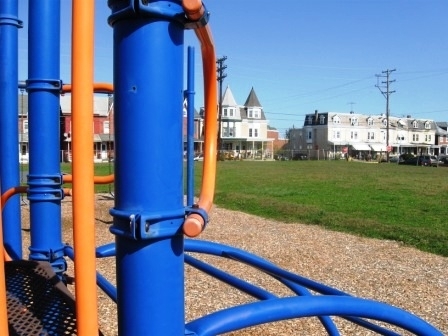 Suitability: Municipal Park has the feel of a neighborhood playground. With just enough to keep the kids entertained, it’s a great place to kick around a soccer ball or just let the kids play on the equipment for a bit. 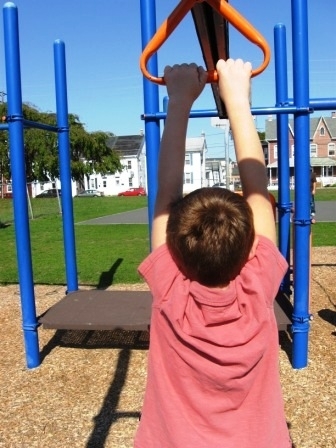 Activities and Tips: Bring a basketball for a quick game or let the kids play on the swings. This small neighborhood park is a real asset to the surrounding houses. Size: This small park occupies roughly 2 lots on the corner. Suitability: Franklin Street Mini-park is best suited to young children. The size of the park and the scale of the playground make it perfect for pre-school and younger school-aged kids. There is a basketball court that older kids would like. 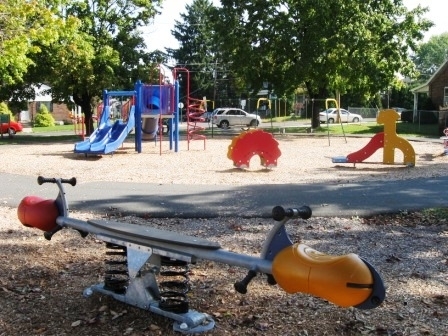 Facilities: Playground, benches, paved walkway around the play area, swings, basketball court. Activities and Tips: This park would be a great pit stop before or after a movie. Its small size doesn’t mean there isn’t a lot for the kids to do.